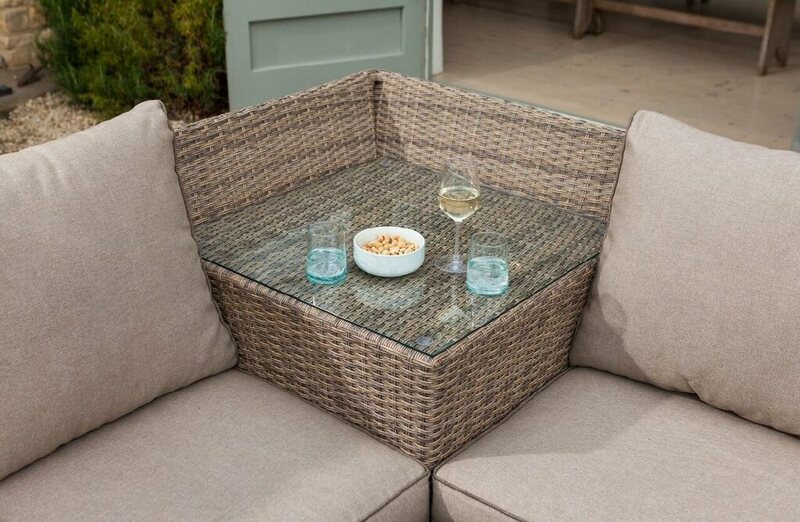 This stylish corner table is a new design idea for 2018.Perfectly sized to fit into the Appleton Casual Corner sets to dine, share a glass of wine or enjoy a stylish afternoon tea. 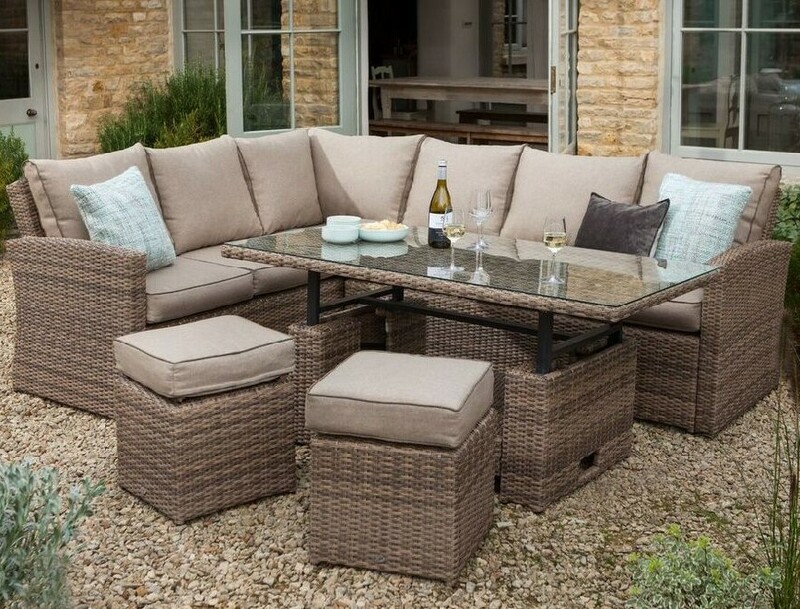 This is made from a synthetic wicker hand woven over a light but strong Aluminium frame it is totally weatherproof and virtually maintenance free. When not in use remove and use as a stylish side table beside your casual diningset. Price includes assembly so no hard work for you.